AzhwAr says that if such people are favourable to him (emperumAn) he will not see any distinction between their hearts and the divine abodes where he has taken residence with happiness. Alternatively it could be said that AzhwAr is mercifully mentioning the abodes where emperumAn has taken residence for the sake of his followers. This pAsuram describes the infatuation that emperumAn has for his followers. Thus, in the 68th pAsuram, the way he gave nectar to those who desired it was mentioned. In the 69th pAsuram, the way he gave kingdoms to those who desired them was mentioned. 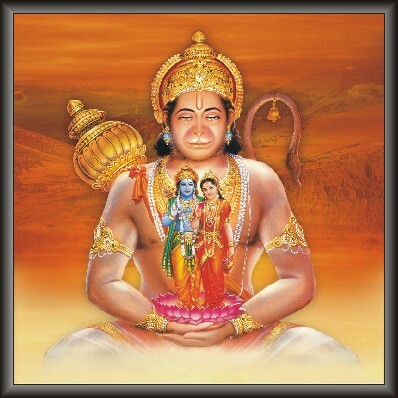 In this pAsuram, the way he gave himself to those who desired him is mentioned. E valla endhaikku idam enbar – [his followers] will say are the residences for chakravarthy thirumagan (SrI rAma) who is an expert at shooting arrows. thamar uLLam – AzhwAr is referring first to the hearts of followers since these are the most important among all the abodes where emperumAn has taken residence. Thus, AzhwAr says that unlike other divine abodes, emperumAn will give prominence to his followers’ hearts. thanjai – the divine abode thanjai mAmaNikkOyil, in thanjAvUr. thalai arangam – the periyakOyil (huge temple) at thiruvarangam, considered to be the first among all divine abodes of emperumAn and one that could be thought of to be on a par with paramapadham. thirumangai AzhwAr has mercifully spoken of this abode in his thirunedundhANdagam 14 as “appAl mudhalAy ninRa aLappariya Aramudhai arangamEya andhaNanai” (one who is in paramapadham took residence in thiruvarangam, as the primary cause of existence for both nithyavibhUthi (SrivaikuNtam) and leelA vibhUthi (samsAram) with his wonderful form which will remove all faults); nammAzhwAr too has mercifully mentioned in thiruvAimozhi 7-2-3 as “katkilee … thitkodi madhiL sUzh thiruvarangaththAy” (Oh one who is invisible to our eyes! …who lies inside thiruvarangam surrounded by huge walls with firm creepers on them). thaNkAl – this divine abode of thiruththaNkAl is the one which removed thirumangai AzhwAr’s infatuation. thirumagai AzhwAr has mercifully spoken of this abode in his periya thirumozhi as “thaNkAl thiRalvaliyai” (the powerful entity at thiruththaNkAl). thamar uLLum thaN poruppu – thiruvEngdamalai (the hills at thiruvEngadam) which is considered by followers as a treasure and which is spoken of by nammAzhwAr in thiruvAimozhi 9-3-8 as “ninRa vEngadam nINilatthu uLLadhu” (the abode thiruvEngadam where emperumAn stood awaiting his followers is on the expansive earth). This abode is everything to SrIvaishNavas. vElai – the abode thiruppARkadal (milky ocean) which is the cause for emperumAn to take residence in all these dhivyadhESams (divine abodes). Since this abode is approached only by entities such as brahmA et al, AzhwAr is not qualifying this abode with any specific adjective and mentions it merely as vElai. thamar uLLum mAmallai – the abode thirukkadal mallai [present day mahAbalipuram] where emperumAn took a lying posture on the ground in order to shower his mercy on his follower puNdarIka muni. kOval – the divine place thirukkOvalUr where emperumAn jostled with poygai AzhwAr, bhUdhaththAzhwAr and pEyAzhwAr. Isn’t it the place which exulted after making the three of them jostle with each other! madhiL kudandhai – the divine abode thirukkudandhai [present day kumbakONam] which is surrounded by well fortified walls. An abode which was very dear to thirumazhisai AzhwAr. enbarE Evalla endhaikku idam – people say that these are the abodes which are the dwelling places for chakravarthy thirumagan (son of emperor) [SrI rAma] who is capable of uprooting the enemies. He is the one who destroyed his enemies and made his followers as his servitors. AzhwAr says that these are all abodes where emperumAn took residence in order to redeem his followers from samsAram. This entry was posted in iraNdAm thiruvandhAdhi, iyaRpA on January 16, 2018 by T N Krishnan.